Your roof is your home’s first line of defense when it comes to the external elements, weather and debris. Because your roof has such an important job, it needs proper maintenance to ensure its durability and functionality. But what are effective steps to properly maintaining your roof? A typical roof should last anywhere from 13 to 18 years, but often times, the real difficulty lies in knowing the proper measures to implement that will help your roof last as long as possible. As one of the 2% of roofing contractors to be GAF Master Elite certified, we, at Refined Exteriors, have helped numerous homeowners repair the damage to their roofs, and we know how to help you maintain your home like a professional. You can easily keep your roof in top condition by implementing the following tools. One of the simplest ways to maintain your roof is removing excess rubble. If you notice branches, leafs, twigs or any other form of debris building up on your rooftop, take the time to clear it off. The same goes with gutters. Your gutters are an integral part of the drainage system on your roof, and removing piled up junk will keep water from pooling in areas it shouldn’t. With the amount of water that penetrates your roof annually, it is not uncommon for mold, mildew or algae to accumulate on its surface. When mildew appears, clean your roof with water and an outdoor mold remover. You can also use a 50/50 mixture of water and bleach. Use a simple hose to remove all residue of cleaner, as a pressure washer can cause shingles to lift and damage the roof further. If mold or mildew is found on your roof, take a walk around the area to assess the roof’s structural integrity. Mold can sometimes indicate water damage, which can lead to rot. If you have any questions, don’t hesitate to contact a professional roofing contractor. 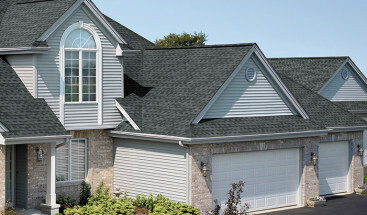 Roof shingles are an integral part of your roof’s protection system. Ensure that all of your roof’s shingles align. Missing, curled, cracked or warped shingles indicate damage and should be replaced. Assess the exposed roof layer if any bald patches exist, and check that everything is in order. You can easily hammer non-broken shingles back into place. However, don’t underestimate your need for a roofing contractor. If serious damage has occurred, make sure to get help. Check the flashing as well as the caulking around any pipe vents, chimneys, skylights or roof seams. 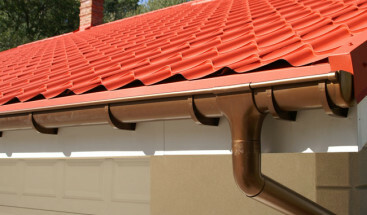 Flashing is essential for roof drainage, and caulking keeps water from leaking into nooks and crannies. Check caulking for any cracking or peeling. 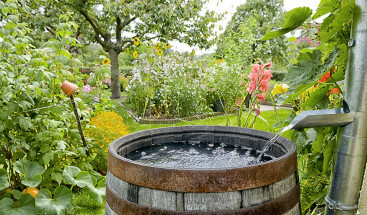 Any damage can cause leaking and water problems in other areas of the home. Remove and replace any damaged, cracked or peeling caulking. However, remember that caulking is a sealant and is not a solution for damaged flashing or large holes. If your roof’s flashing is damaged, make sure to replace it immediately. Give your roof the attention it deserves. One to two times a year, make a point of climbing onto your roof for an inspection. Assessing the space from this vantage point will help you catch more damage than you might think. Remember that the more effort you are willing to put into your roof, the longer it will end up lasting you. When assessing your roof or making any repairs, only climb onto your roof in sunny, warm weather. Safety is the most important factor to your roof’s checkup, and warmth helps shingles become more pliable. Repair is an essential part of home maintenance. If the damage on your roof can be repaired, it will extend the life of your roof and keep you from the extensive cost of a roof replacement. 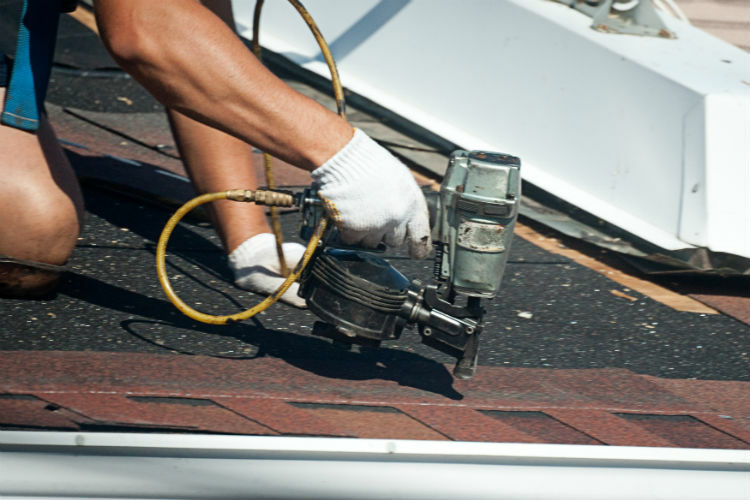 A roofing contractor can easily replace any broken or damaged shingles. Your rooftop is easily bleached by the sun. If you have any original shingles left to use for replacement, the color difference will often be undoubtedly noticeable. A discolored roof will affect your home’s visual appeal as well as its resale value. A roofing contractor can often find shingles that will better match the current color of your roof. They will also give your roof a thorough inspection inside and out which can mean catching any damaged areas you may have missed. Just ensure that you hire a quality roofing contractor for all your repairs. Times do arise where damage to a roof becomes so severe that replacement is the only option. However, implementing proper maintenance and hiring a quality roofing contractor for any repairs can prolong this event for years to come. If your roof is in need of repair, Refined Exteriors is ready to restore it back to its full functioning status. To schedule your free, no-obligation consultation, click here or give us a call at (720) 360-1611.